Theories and methods are constantly changing and growing in the field of ELT. It is imperative that as teachers we are aware and growing so that we can draw from best practices and benefit our students in their pursuit of acquiring English. We do not need to change and adapt for every new whim, but it is important to know and understand current research and evaluate what that means for the learners we are responsible for. Teaching is a beautiful combination of art and science, and no two teachers will look exactly alike. We need to continue to add as many tools as possible to our repertoire so that we can be better equipped to excel in our field. This presentation aimed to bring awareness to some current trends and methods and highlight why they are important in the classroom. One of the workshop attendees commented that he had not yet ended his enchantment with CLT and was saddened that even this method is already on its way out according to the wider ELT scene. However, as we discussed, it is not that we need to do away with CLT, but we need to adapt what works best for our students in their given situation. So, please keep in mind as you view this presentation that these trends and methods are only guidelines and ideas, not prescriptions. 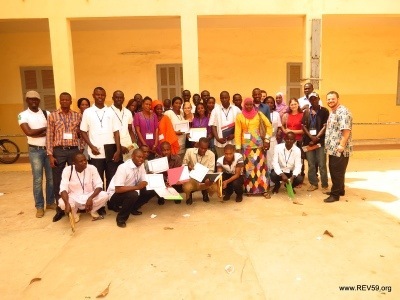 Click here to view the presentation from the workshop that we conducted in Senegal, Current Methods and Trends in ELT. Below, I have included a few links to give some further information about some of the trends and methods that I included in the presentation. « Still here . . .